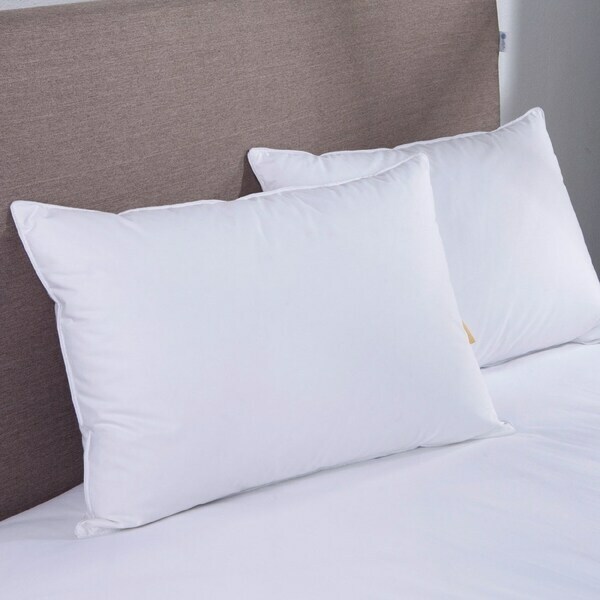 This natural filled pillow is ideal for side and back sleepers, with the perfect amount of fill for a great night's sleep. It combines the softness of down and the comforting support of feather to start on your way to a better rest. The outer shell is made from 233 thread count, 100 cotton face and is filled with 30 white goose down and 70 white goose feather. Pillows are made from 230 thread count 100 cotton. Filled with 30 White Goose Down, 70 White Goose Feather. Spot Clean, Dry Clean Recommended. Materials are Responsible Down Standard certified and cleansed by Oxipower technology.